AFC Bournemouth are back from the international break and have a local derby with Southampton to contend with at Vitality Stadium. If previous years are anything to go by, it should be a tight game at Vitality Stadium. Since the two sides have met in the Premier League, the Cherries have won once - the home game in the 2015/16 season. There have been two draws, but Southampton have won three of those meetings. 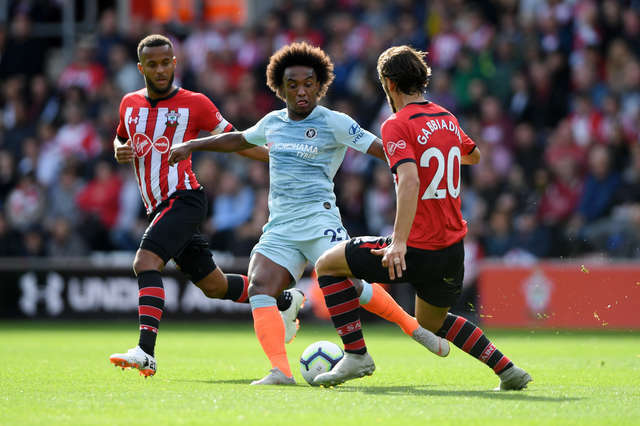 At Vitality Stadium the Cherries have one once, drawn once and lost the other – that last win came in the 2016/17 season when the Saints, under Ronald Koeman, were 3-1 victors. Their recent league form however, has been mixed, with a draw and three defeats including losses to Liverpool and Chelsea, with their last win coming at Crystal Palace on Saturday 1st September. Mark Hughes' side haven’t beaten a top-half opponent in their last 31 attempts, a run which stems all the way back to April 2017. It was a tough afternoon for the Saints last time out, in-form Chelsea came to town and produced a sublime display. They did show some promise though following Ross Barkley’s goal, with Danny Ings volleying over from close range and Manolo Gabbiadini – returning to the side – keeping Kepa Arrizabalaga on his toes with shots from range. The loss means Southampton have won just one league game at St Mary's in their last 15 home games. Line up (3-5-2): McCarthy, Bednarek, Hoedt, Yoshida, Cedric Hojbjerg, Lemina, Bertrand, Redmond, Ings, Gabbiadini. Hughes was initially named Southampton boss in March, with the club looking for the experienced Welshman to guide them to Premier League safety. After fulfilling his remit in keeping the Saints in the Premier League, Hughes was rewarded with a three-year-deal at St Mary’s. The manager has been able to bring in his own players this summer and is trying to mould together another solid side much like he did at Manchester City and more recently, Stoke City. Club legend Jimmy Case has called for Hughes to be given time to allow his team to gel, in an interview with the Daily Echo this week. The Cherries have won 22 out of 30 Premier League points on offer in the last ten fixtures. Southampton have lost twice in 14 encounters with the Cherries. Only Eden Hazard (10) has been involved in more Premier League goals this season than Callum Wilson (7).